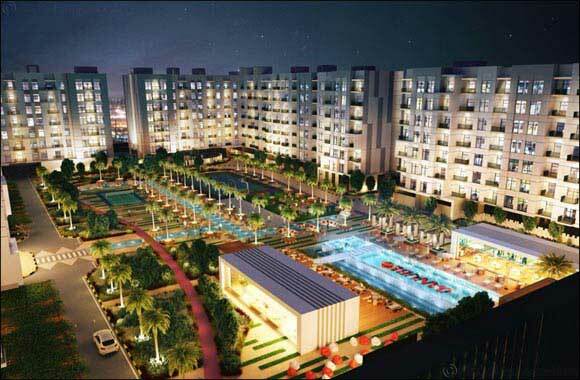 Danube Properties' Dh550 million Lawnz project at International City, sold out in record time! Danube Properties sold out 1,032 units at Lawnz at the International City, including 350 units snapped up in 4 hours! Dubai, UAE, August 07, 2018: Danube Properties, a major Dubai-based property developer, announced that its latest project – the Dh550 million Lawnz – has been sold out within five days of its launch. The project’s Phase I, which was launched on June 20, 2018 – right after the holy month of Ramadan and Eid celebrations, created a massive interest amongst the home buyers – who sees a greater value in Lawnz project – a gated community that provides all luxury community facilities and services – at a very affordable price that starts from Dh290,000. “The sell-out of the Lawnz in the hot summer months – a very quiet and low season for business – is a live demonstration of the public faith in the Danube brand and the customers’ confidence in our ability to deliver quality homes at an affordable price and on time, which is very crucial for the end-users who invest their life savings with us,” Rizwan Sajan, Founder Chairman of Danube Group, said. “This is also a strong testimony of the fact that there is no shortage of buyers if the properties are offered at the right location, right price, right payment plan and the right delivery schedule. Our industry trend-setting 1 percent payment per month, that helps the property buyers to move in to their homes after paying only around half the prices of the property – is a key to the success of our real estate projects. Lawnz, Danube Properties’ 11th project – the Dh550 million Lawnz at the International City – comprises of 1,032 units that raises its portfolio to 4,744 units with a development value exceeding Dh3.7 billion, spread across 11 successful projects. Construction of the project is expected to start in 2018 with completion in 2020. Lawnz is Danube Properties’ first project at the International City and its first gated complex. Atif Rahman, Director and Partner of Danube Properties, says, “The customer response for the first phase of the project – about half of the total inventories – was amazing and overwhelming. However, the response to the second phase was even better – so much so that we sold 350 units in 4 hours – an industry record! “One of the key aspects of our sales strategy was to give priority to the end-users and the first-time buyers, who used to view housing very unaffordable. However, our sale strategy put them at the forefront of our massive marketing campaign – by bringing down the price barrier below Dh300,000 for the first time in recent history.